The Pontiac Silverdome stadium in Michigan has withstood a series of explosions aimed at taking down the structure. 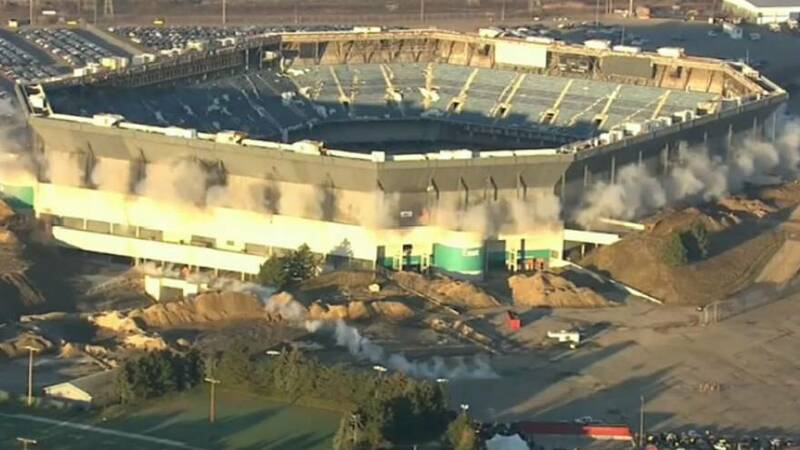 Footage of the attempted implosion on Sunday (December 3) shows plumes of smoke coming from the sides of the former American football stadium as the explosives detonate. However, moments later it remains intact. At least 10 percent of the explosives, which were positioned to break critical support beams, didn't work, according to representatives of Andamo, the demolition company tasked with the implosion. "What went wrong was a wire somewhere was cut. We don't know why or how," Rick Cuppetilli of Adamo Demolition said. The stadium once hosted the Super Bowl and is the former home of the Detroit Lions NFL team. Pontiac's mayor compared the stadium's resilience to that of the city’s residents. "They thought Pontiac was down and out, we came back, so the Silverdome is the same. You know, they tried to bring it down - that hard old lady—it's not coming down just yet,” he said. Teams will use excavators to try and bring down the rest of the stadium this week.